I’ve lost count the amount of times I’ve been called aggressive during a discussion or a debate. But it’s a lot, an awful lot. Barack Obama is interviewed in this month’s Rolling Stone magazine. Among the topics that are discussed the 44th President of the United States talks about the huge expectations that proved impossible to live up to upon his election, building cross party consensus to pass laws, and the momentum of the ‘Tea Party’ movement. 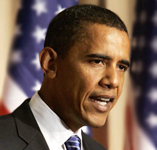 A candid Obama provides the reader with some interesting responses that are sure to provoke debate. Guardian journalist Afiya Hirsch today published an article on the Guardian’s Comment is Free page. In it she articulates the importance and relevance of celebrating Black history. She also puts to bed the often widely held views of so-called Liberals who tow the ‘What about white history?’ line. It is not only in the political arena that OBV seeks to address the Black and Minority Ethnic (BME) derficit. BME representation in the media is also still at woefully low numbers, especially when you reach the higher echelons of the industry. 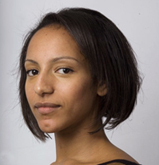 Media star Afua Hirsch was applauded by Guardian editor, Alan Rusbridger at the launch of new website – Guardian Law. BBC Any Questions, anti Islam bias? As many know BBC Radio 4’s ‘Any Questions’ on a Saturday afternoon is a highly respected ‘Question Time’ style show for radio listeners, with political analysts taking questions from a studio audience. Sadiq Khan, Member of Parliament for Tooting and Shadow Secretary of State for Transport will be appearing on BBC1 Question Time tonight, the prime political television programme. Sadiq, a long time supporter and alumni of OBV, as well as a Liverpool football club fan (we won’t hold that against him) will be making his inaugural appearance tonight at 10.35 PM.